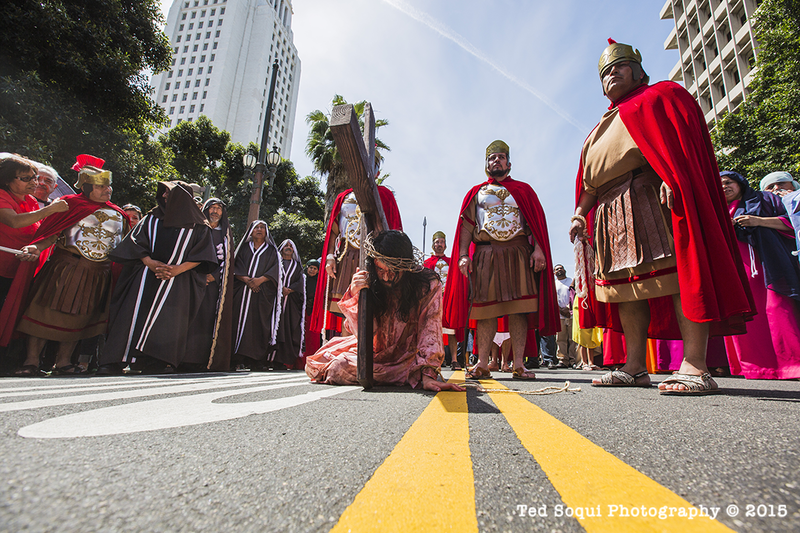 The Roman Catholic Archdiocese of Los Angeles re-enacted the crucifixion of Jesus Christ on the street of downtown Los Angeles. 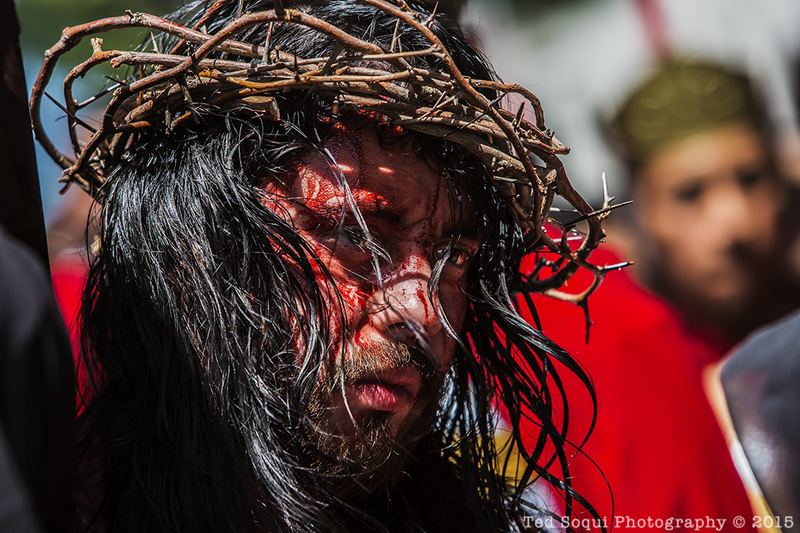 Today is good Good Friday, marking the day Jesus was crucified. 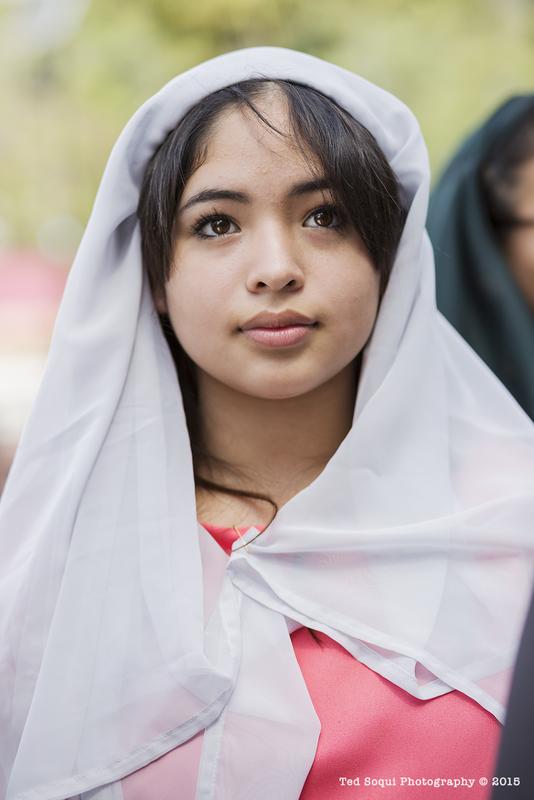 Hundred of onlookers watched the re-enactment which was held in Spanish. Watching the trial of Jesus. 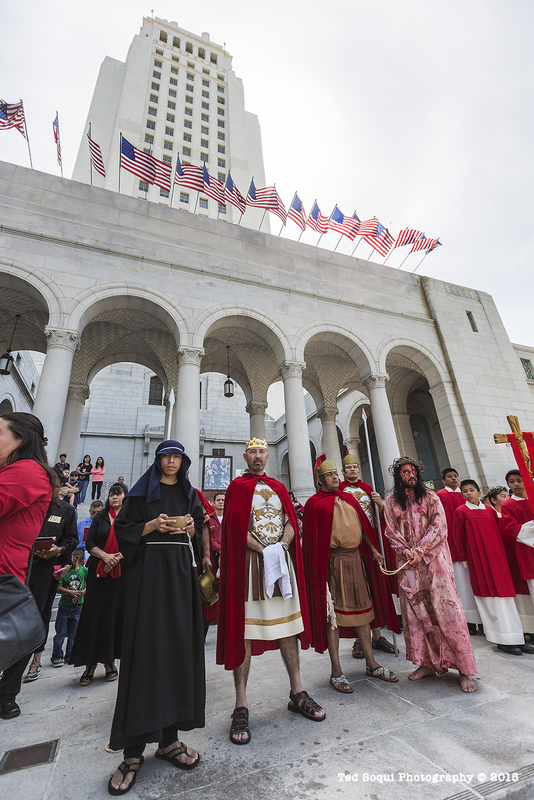 Pontius Pilate overseeing the trial of Jesus on the steps of LA City Hall. Jesus carrying the cross to Calvary Hill up Main Street. 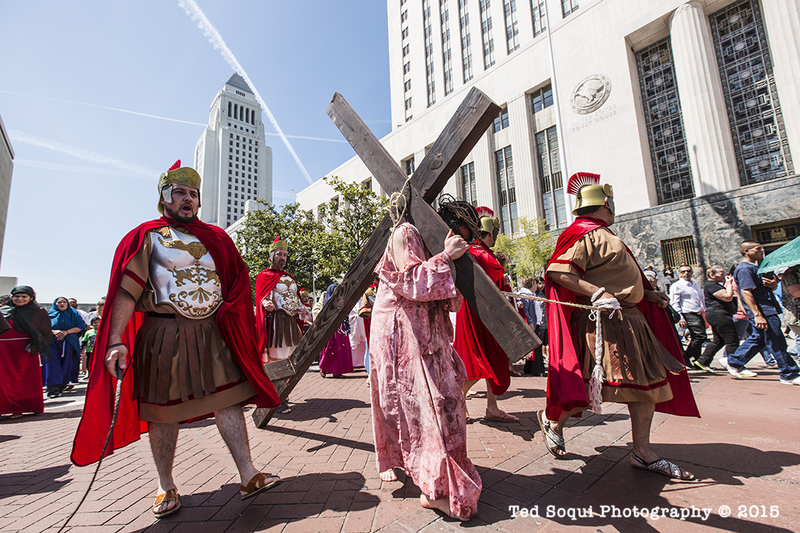 Jesus taking a break at Los Angeles St. and Temple St.